Most people agree that bugs are gross, there are some that strike a bit more fear in our hearts and some less but as a whole – they’re gross. The only person that is truly happy to see the sights of any would be a toddler or an entomologist and if you’re reading this, chances are you’re neither. If your home or office is suffering from an insect influx our professional exterminators have good news, we can help! We have a variety of ways to get rid of those little buggers. You can choose from our purely organic extermination products or go a more traditional way, the choice is up to you. They are both highly effective. 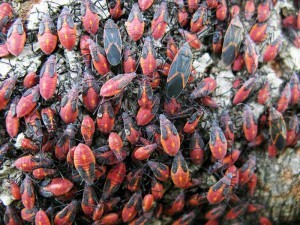 When the bugs start crawling in one by one, two by two or ten by ten, something needs to be done or you’ll be overrun. Echo Tech offers affordable services and we even have an emergency line, for instances that can’t wait until the next work day. We are thorough in our extermination process and we will clean up all the remains. Eco Tech is a local company, we are also family owned and operated. We keep a tight knit group to ensure each and every client of ours gets dependable services and sees complete results. We do not make you sign a monthly contract, we simply take care of your extermination needs at hand, clean and prevent future issues from arising. Contact the best in the bug control business at (612) 237-8282 or for emergency extermination services call (763) 232-7296 right now!